Set up in 1939 by Concord Monthly. Originally an indulged meeting since 1696 under Radnor Monthly, later transferred to Goshen Monthly. The earliest meetings took place in the home of William Lewis. In 1708 a little over an acre was donated to the meeting and a meeting house was erected and burial ground plotted. 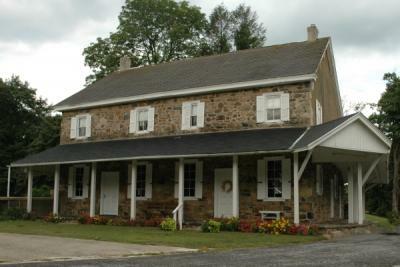 The original meeting house was replaced in 1791 by a two-story stone building. The property was retained by the Hicksite branch at the time of the Separation and the Orthodox branch was discontinued in 1828. In 1939, the meeting became Newtown Square Monthly Meeting and it became a united meeting in 1952. In 1955, the monthly meeting was transferred to Haverford Quarterly. Newtown Preparative was the fore-runner of this meeting.